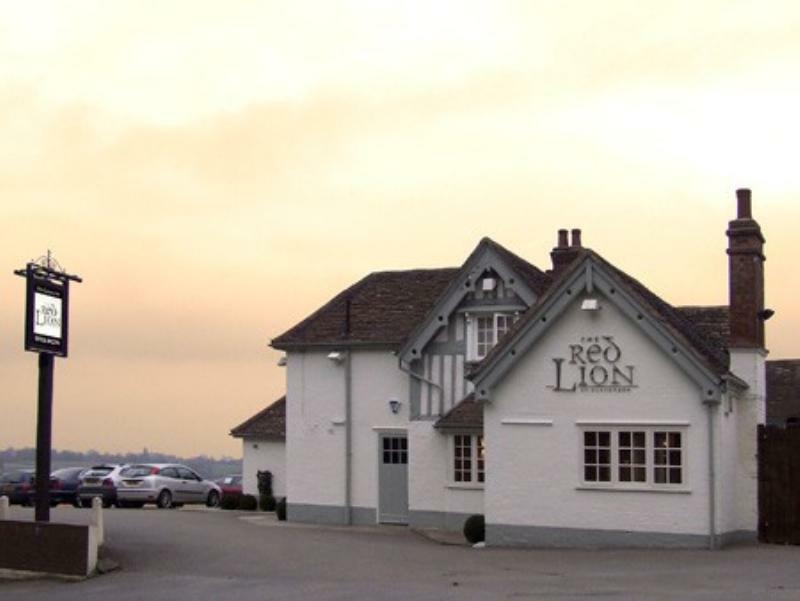 The Red Lion in the village of Claverdon has been given a thorough design makeover, with stripped wood floors, modern furnishings, artwork and a sense of space; there's also a big landscaped garden with a heated deck area for al fresco meals. The kitchen roams around for ideas, offering things like Maryland crab cakes with tomato chutney, South Indian vegetable curry, Gressingham duck breast with cavalo nero, black pudding and shallots, and calf's liver with Puy lentils, onion and sage purée, as well as decent steaks, fish and chips and sweets spanning everything from glazed lime tart with gingerbread ice cream to steamed syrup pudding with clotted cream. All priced at . . .